Older adults often suffer from physical, mental and emotional conditions that are a result of aging and usually cause frailty. Frailty diminishes your capacity to participate in day-to-day activities and to respond to any unforeseen interruptions to your routine. Tai Chi positively affects your mind and body and is an excellent tool to keep all your systems sharp. 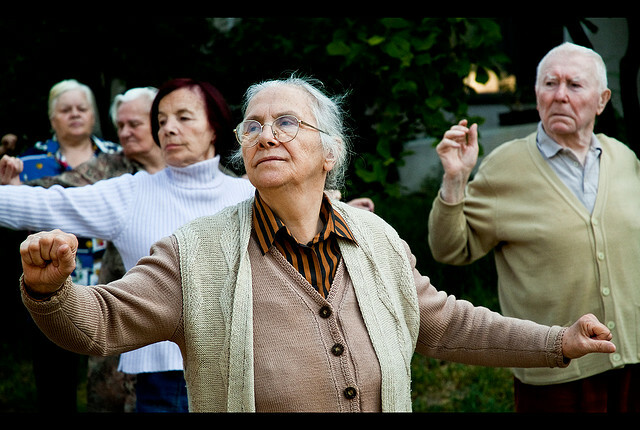 Ideally, Tai Chi would keep you healthy enough to continue to leave independently, but even if you were to move to a senior-care facility, a study has shown that you would still benefit from Tai Chi. The study involved 66 men and women (aged between 57-87) who were living in supportive housing facilities. 35 were assigned to the Tai Chi group and the rest were assigned to the control group. All participants underwent baseline testing. 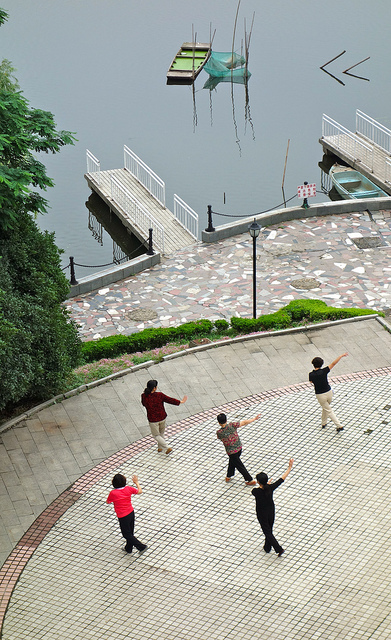 The Tai Chi group participated in two 1-hour-long instructor-led group sessions each week for 12 weeks. This group was also given an instructional DVD and told to practice at home for 20 minutes a day for a minimum of 3 days a week and keep a diary to record the home sessions. Both groups “were assessed for physical function, balance, mobility and walking with and without performance of a cognitive task…Frailty status was calculated based on previously reported cutoffs for unintentional weight loss, exhaustion, physical activity level, walking speed and grip strength.” These had been measured during the baseline testing and then after the study. The Tai Chi group showed significant improvements in physical function, balance and walking compared to the control group. The Tai Chi sessions were well-attended and none of the Tai Chi participants suffered adverse effects from the activities. When an older adult ages and becomes frail, he or she has a reduced capacity to adapt to the stressors of day-to-day activity. For example, older adults who have trouble walking have an even more difficult time walking and performing tasks that engage their minds at the same time. “Slower walking speed when performing cognitive task is predictive of mobility decline and falls in older adults.” However, in this study, the Tai Chi group actually walked faster while performing dual tasks. In fact, the Tai Chi participants did so well that the researchers posited that these participants would probably be able to perform other cognitive tasks while walking as a result of Tai Chi. In sum, “Tai chi training may be a safe and effective therapy to help improve physical function and dual-task walking in very old adults living in supportive housing facilities.” Therefore, while we hope that Tai Chi will keep you moving and independent, even if you have to move into an assisted living facility to meet your needs, Tai Chi will continue to benefit you. So, why don’t you try Tai Chi today?